HI! I'm Cheryl, a "young" retired entrepreneur. 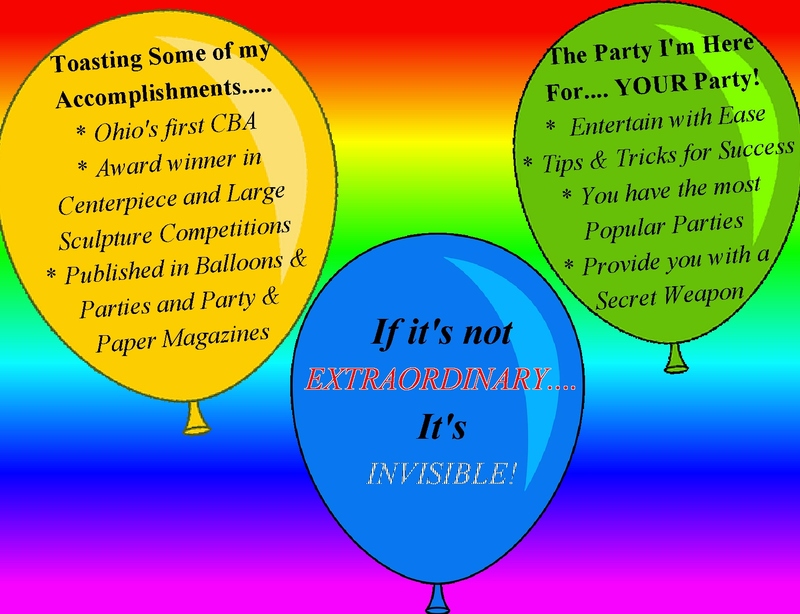 In December 2016, I sold my special event decorating business of 26 years, All Occasions Plus, LLC. Over the years I attended many conventions, conferences, and trade shows. I've met and studied under many wonderful event specialists like David Tutera and Preston Bailey. I've always been mesmerized by their large fancy events. BUT, GUESS WHAT.... I live in Defiance, Ohio... Population 16,000. Not too many million dollar events going on here! However, my team and I put on some of the best events within a 60 mile radius the past 26 years! I was raised a "Mid-west Farmer's Daughter". Was blessed to have the "American Dream" family - Parents, grandparents, big gardens, and outside pets. Entertainment was visiting family and neighbors for an evening of cards. It was a simple life, full of love. After a series of events, I learned how the rest of the world lived when I moved to Seattle, WA. I got a great job with Boeing, learned computers, and met my husband from OH. After 5 years, we moved back to OH, and I worked in computers for GM/EDS and Sauder Woodworking. Gave birth to my wonderful son, and then a fantastic daughter, and then a life-defining event business. A pretty awesome life that got turned up-side down when my husband, David, was diagnosed with cancer Jan. 2012 and died 9 weeks later. Never sick a day in his life. We just never know. However, life does go on, but it's a different life. I live on 5+ acres with woods, a creek, a pond, and 5 log buildings (log house, log cabin, log smokehouse, log dogless house, and log barn). David had "found", brought home, and put up these buildings. He was an ambitious, talented, mechanical engineer that always had projects going on. 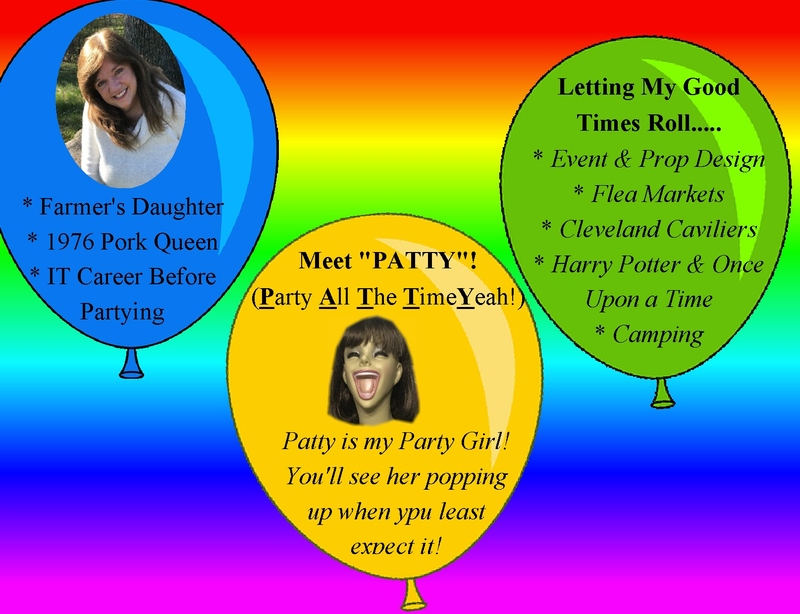 The next 4 years, I threw 110% of myself into my business which kept me busy. However, there were lonely Sundays and Holidays. Consequently, on-line dating entered my life and Consequently, I met a great guy that was widowed, retired, loved camping, traveling, flea markets, and doing projects as do I. We also do well at relaxing and enjoying life! So, I sold the business, where I still occasionally consult/help out. Now, enters the world of Blogging! I tend to have a brain that is always thinking and analyzing, and I continue to have the passion of the event industry in me. So, for a creative outlet, the ability to create some traveling money, and the opportunity to connect with and help others, I've started this blog.